This just in! Alumni Awards nomination forms are here. The awards will be given at the 2019 Award Luncheon. The awards are Women of the Year and the Alumnae Achievement Award. The Woman of the Year Award recognizes a sorority woman primarily for her dedication to Panhellenic and her sorority organizations. To determine the winner, the selection committee weighs Panhellenic and sorority line items by 70% and career, church, and community line items by 30%. The Alumnae Achievement Award recognizes a sorority woman primarily for her achievements in her career, church and community. To determine the winner, the selection committee weighs career, church, and community line items by 70% and Panhellenic and sorority line items by 30%. 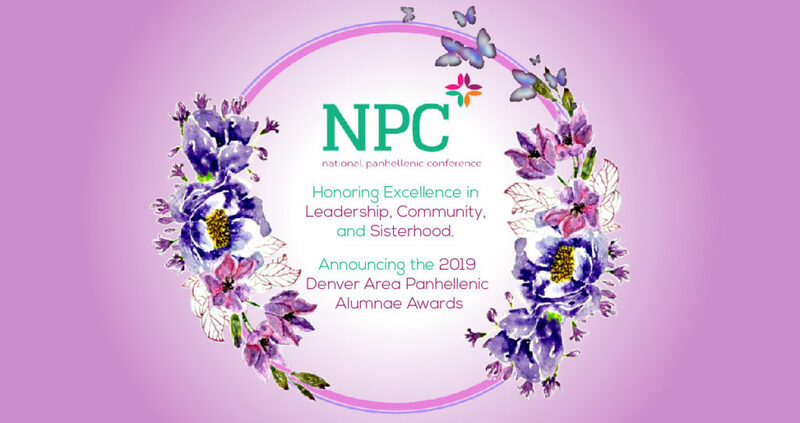 Each local National Panhellenic Conference member group may nominate one woman for this award. (Where a sorority has multiple alumnae chapters, only one nomination will be accepted.) In the event that a nominee’s sorority does not have a local chapter, any member in good standing (other than the nominee herself) may complete the nomination process. The Alumnae Awards Committee requests the President of the local alumnae chapter or her designee to complete the nomination process and is asked to include a personal letter of recommendation. The letter will help the Selection Committee with a biographical sketch of the candidate to be used at the Spring Awards Luncheon. Each Nominee is encouraged to attend the Spring Awards Luncheon on Saturday, April 27, 2019 at Mount Vernon Country Club, in order to be recognized for her accomplishments and dedication. Nomination Packet MUST be received by Friday March 1, 2019. Forms are available to download below. Pay for Nomination Fees: https://squareup.com/store/DAP.